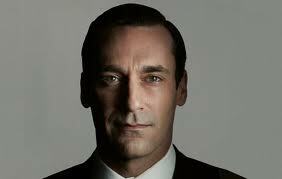 Nelle Engoron offered her review of the season finale of Mad Men for Salon.com (link below.) For the last 4 seasons Matthew Weiner’s 1960’s drama has become one of the most recognized and award winning dramas in television history, winning the Emmy Award for Best Drama in each of its first four years. With each season the show has developed storylines and characters that have superseded the stylization that was the driving factor in the program’s initial rise to popularity. While the reviews of the season and finale were somewhat mixed, the general vibe was that it underwhelmed. While I agree with most of the observations offered by Nelle Engoron, I disagree that the show or season was lackluster and it was just Engoron’s described “weariness” that made the season and finale amazing television. Yes the show did not offer a dramatic cliff hanger of past seasons and other series, a tradition started by the shooting of JR Ewing on the series Dallas, the reboot of which premiered ironically this week, but this is the true hallmark and tradition of Mad Men, going against tradition. It is the subtlety of Weiner’s writing that gives the series its edge as it commands the serious viewer to parse each conversation, action, facial expression, and of course the limited use of music that concludes each episode. In Mad Men, EVERYTHING has meaning. I believe Nelle Engoron’s summation of the closing montage offers wonderful insight into the state of each character, especially the symbolism of the closing song, “You Only Live Twice” for Don Draper. Yes he has already had two lives personally and professionally, and with his season closing glance in a seedy bar, we anticipate the ultimate decline that is inevitable. The only thing I would add to Engoron’s analysis concerns the closing look at Peggy Olson who, after leaving Sterling Cooper Draper Pryce in a previous episode, is at last taking the next step up the corporate ladder as a single woman in an industry ruled by men who when push comes to shove, as was demonstrated earlier in the season, don’t mind scraping the bottom of the moral barrel. Peggy, working with another firm and given the responsibility to help a tobacco company develop a cigarette marketed to women, (I am guessing Virginia Slims) pulls back the curtain and looks out of the hotel window while on her first business trip only to see two dogs doing what stray dogs often do. While Engoron’s interpretation was that this shot, at best, symbolized the sleaze of the advertising business that is behind the curtain, I thought it also spoke to the nature of what Peggy was being asked to do, develop a new product which will produce needless suffering and misery. While this season, save for the ultra-dramatic and shocking suicide of Lane Pryce in the next to last episode and the surprising move of Peggy away from S.C.D.P., was generally considered slow if not conventional by Mad Men standards, it symbolized very well the year in which it was set. 1966 was considered by most to be the dividing line between the charmed early 1960’s and the tumultuous closing years of the decade. While generally pedestrian, 1966 began to show signs of what was to come. So it was with this season’s Mad Men. We don’t know what year the next season will be set in, but I would guess 1968 and or 69, in what i believe will be the final season. I am looking forward already to where Weiner will take the show, the characters, and us as we move back into the churning waters of America at the close of the 1960s. This entry was posted in Film Shots, Scattershooting and tagged 1960's, AMC, Mad Men, Mad Men finale, Mad Men finale review, mad men finale season 5, matthew weiner, television. Bookmark the permalink.